On August 5, 2012 we completed our first service project! 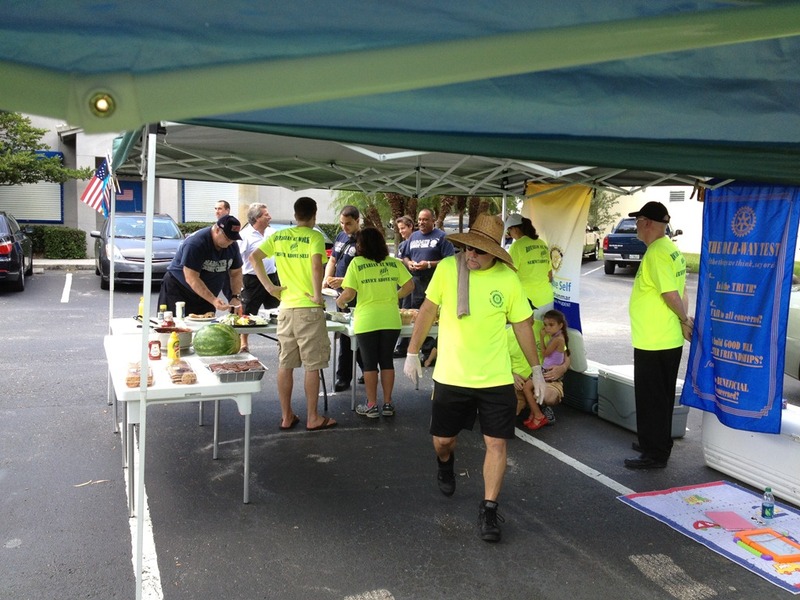 We fed 20 Firefighters and 10 Police officers from the cities of Margate/Coconut Creek on site of the main firehouse! This was a family service project with children, spouses and Rotarians in attendance! We set up our grills, tents and put out a first class spread including dessert! See all our photos of this awesome event! We are doing these projects every month! Come join us and give back to our community and make some great friends in the process! Previous PostBuilding Blocks!Next PostFirst Club Social- Bowling Night!